In our world where condensing life down to 140 character messages sent instantaneously to whomever you want wherever you are is becoming the norm, there is something about snail mail that brings me intense joy. As I hunt for a favorite pen and search through the card stash to find the one “just right”, I like to imagine the smile on the recipient’s face when a routine trip to the mailbox leads them to discover a brightly colored, hand-addressed envelope in amongst bills, ads, and other generally disliked mail. I ponder what kind of day they might be having when it eventually arrives and pray that the words I’m writing here today are exactly what they need to hear there then. Whether it sits on my desk for a few days before getting stamped and sent out, gets caught in the mail delayed by a holiday or somehow makes it their sooner than expected, I pray that it arrives just when a little encouragement is needed. I truly have always loved sending cards, so when I came across the opportunity to write an (in)spired deals review for some Dayspring cards, I couldn’t turn it down! Within days of signing up, I received a pack of Simply Marvelous Card Pack plus 3 Simply Marvelous thank you cards and I must say, they are … simply marvelous! 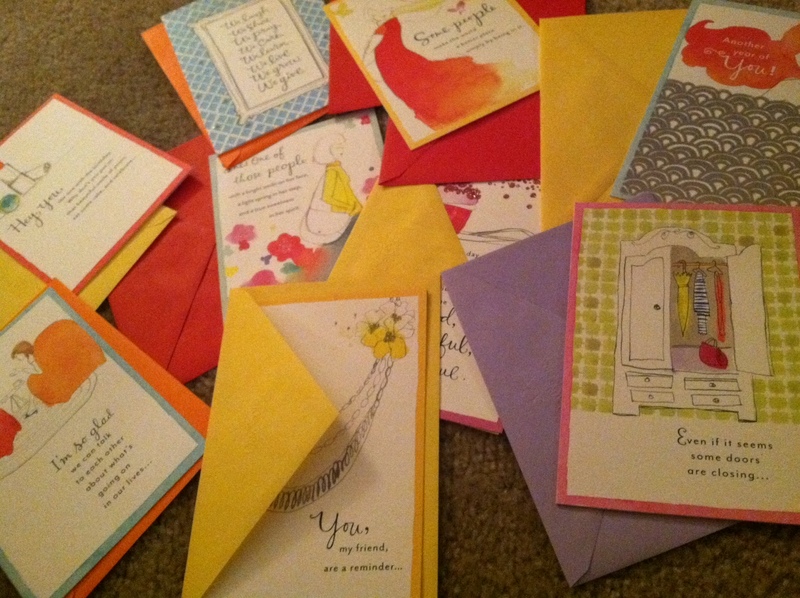 I absolutely the bright colors… not just on the cards, but of the envelopes too. 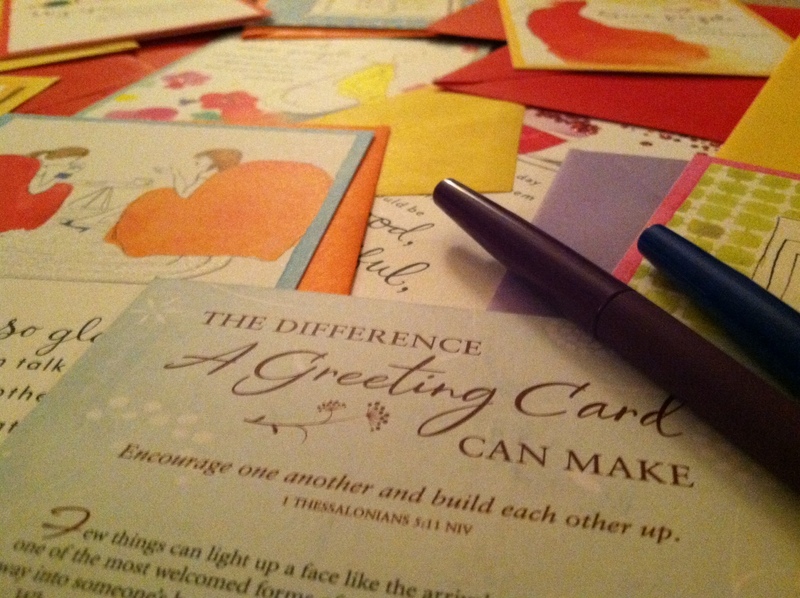 Some cards were general encouragement “have a great day” kind of cards while others will be used to rejoice in the life God had given my friends as their annual celebrations come around. Each had unique phrasing which immediately caused me to start thinking about which one would likely get sent to which friend. I think my favorite in the pack was actually the thank you card (which made it even more exciting that I had received 3 extra of those!) It’s colorful (and glittery!) design and simple sentiments: “Some people make the world a better place simply by being in it.” (outside) “Thank You.” (inside) make it possible to send this to just about anyone for just about any reason. You could be thanking them for something specific they did in your life, or as the card said, just thanking them for being… them. While I’m really excited about these cards, that’s not even the coolest part! Not only did (in)spired deals send me free cards to review, DaySpring also gave me a $20 coupon code for their online store to give away to one of you! While the price of sending snailmail may continue to climb, I believe the value does as well. I dare you all to take some time today to send a note of encouragement to a friend, who knows how much it could mean to them! FTC Disclosure – DaySpring gave me this product for review and all opinions are my own. I love getting mail from you! My Advent card made me smile all week. Then when I was cleaning my living room last week and found it buried amongst mail on my coffee table it brightened my week all over again! I see one of the cards I just got in the mail! Your cards have always come at EXACTLY the right time, Bekah. 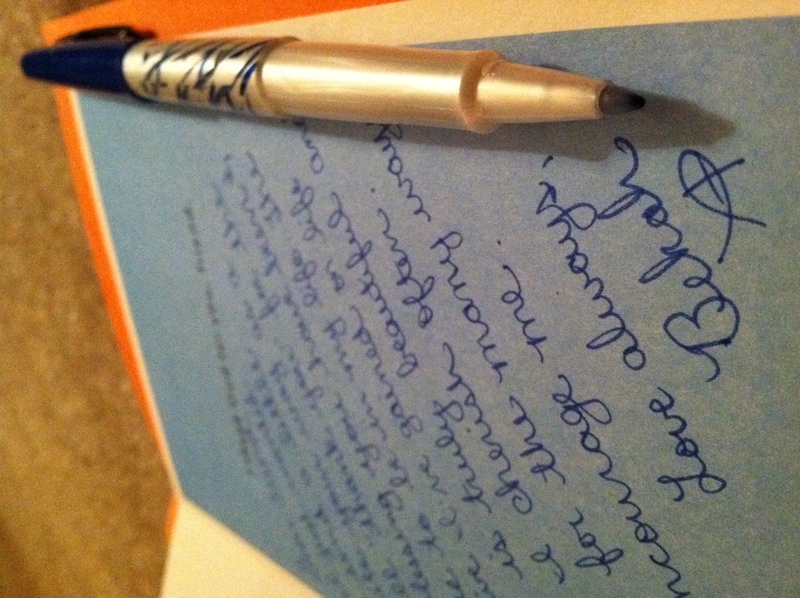 I was just thinking tonight this exact thought: “Bekah is so inspiring. I bet she sends cards all over the place. I want to do that to.” And what do you know? A post about it! So thankful for the blessing of YOU! I absolutely love snail mail. It’s my favorite thing and always has been since i was a child. I remember when I was in my first semester at Concordia St Paul, and totally homesick. I unexpectedly received a halloween care package from a delightful couple at my parents church. I knew them in high school, and we had all been in the bell choir together. This box was full of cookies, candy, and an emergency $20 bill the gentleman wanted me to keep in my wallet for emergencies, should I be stranded on the side of the Minnesota road, or need to get away from a bad date, or just want to call home on a payphone, I’d have the extra money to do so. He specifically said it was not to be spent on finding a date, or paying for my Starbucks addiction. It was a delightful surprise, and now, 10 years later, I still fondly remember that man and his wife, and spend time with them every time I go to my parents church. Just yesterday I received an unexpected “Get Well” card from my sister. About a week and a half ago, I had some minor surgery on my wrist. All is well but getting the “Get Well” card sure brought a smile to my face and a joy to my heart! I’m still a card sender when most people have stopped so I hope my cards to others bring the joy my sister’s card brought to me! Blasted annoyed that I missed the deadline on this. Grrrr.